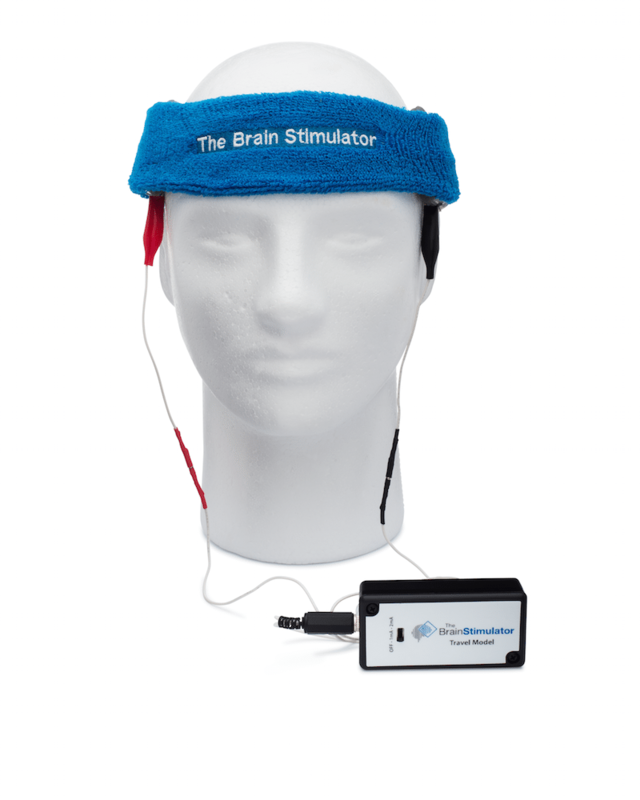 Are you ready to get serious with tDCS? Are you looking for a complete kit with absolutely everything you need? Do you want to be able to access any montage possible?? 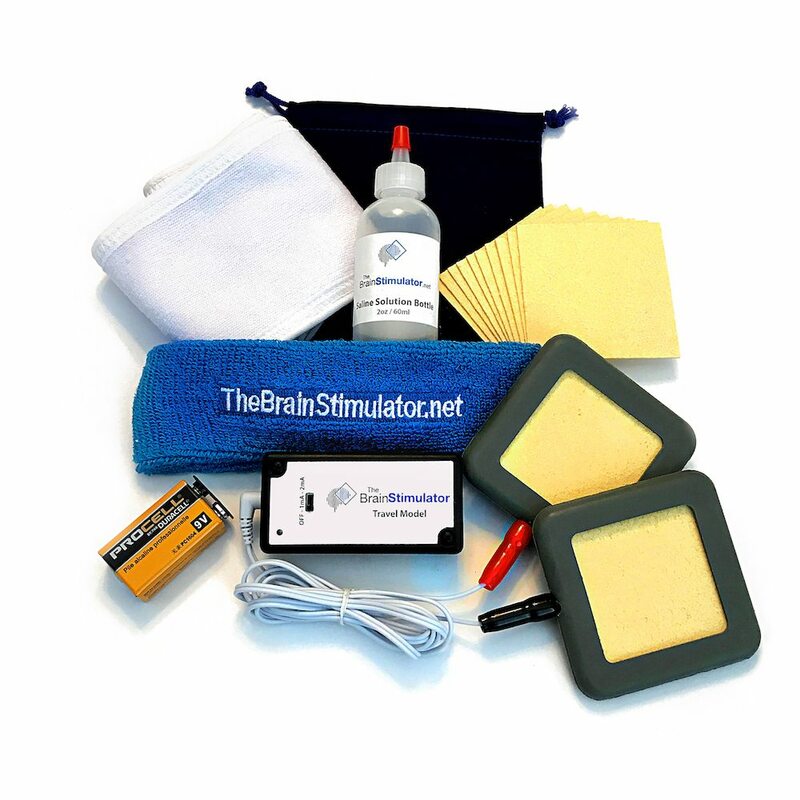 If so, our Travel Model v2.0 Deluxe package includes everything you could ever want it a tDCS kit! This is the kit for you! A Professional Duracell Procell 9V Battery Included! 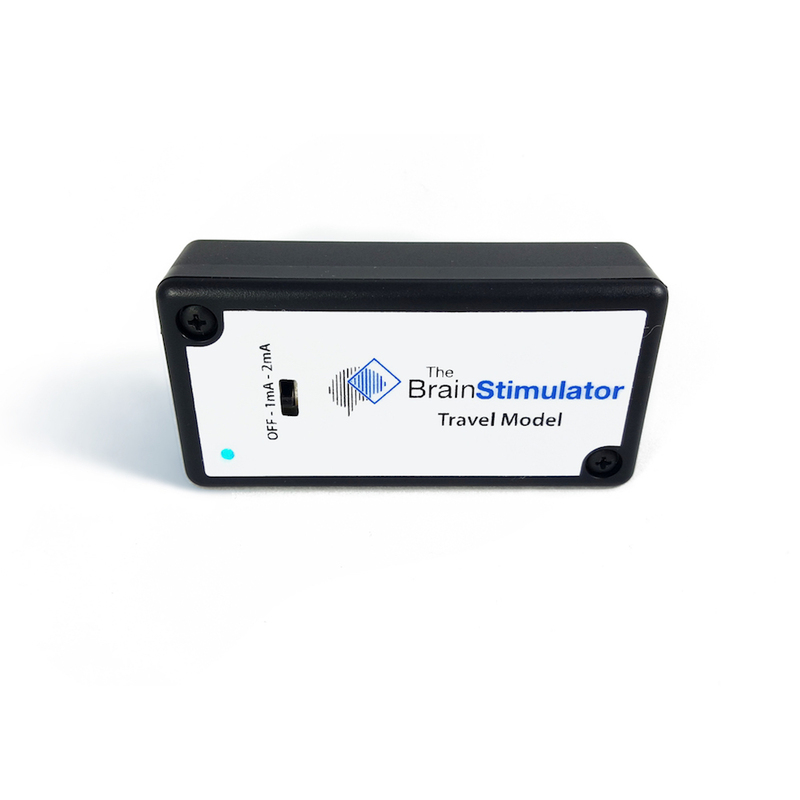 Our new and improved Travel Model Version 2.0 is the coolest tDCS device we’ve ever built! We listened to your feedback and made some updates to our original Travel Model. The main change in our new version is the addition of a small, current-indicating blue LED light. Now the Travel Model will have the same ON/OFF visual indicator just like the original Brain Stimulator has. You’ll never again have to worry about leaving your device on and draining the battery! When the device is switched on, the LED will illuminate, informing you that the device is on and current is flowing. When you’re done with your tDCS session, just switch off the device and the LED will turn off as well. We also programed additional functionality so that the LED indicator light also functions as a low-battery indicator! 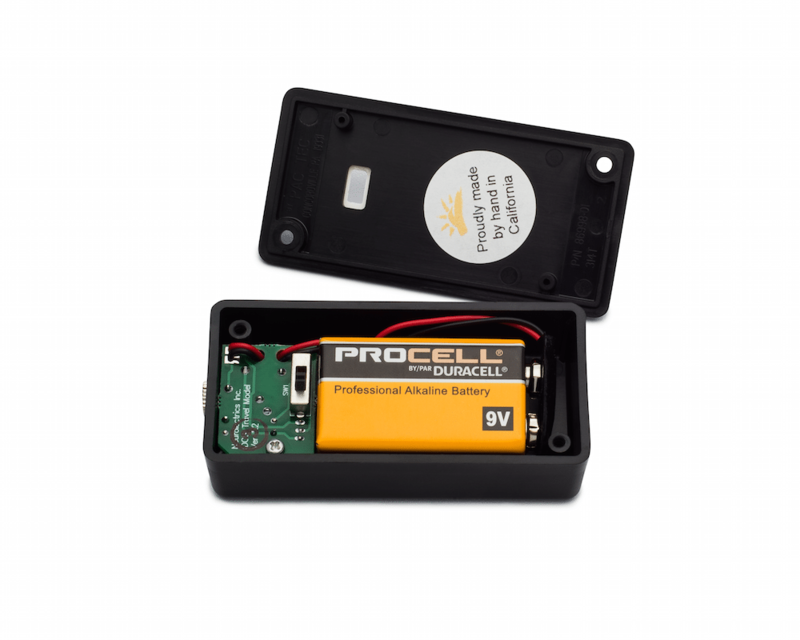 As the internal 9V battery (not included) looses power over time, the internal circuitry will track the available voltage to determine the battery’s health. As soon as the battery starts to loose its effectiveness, the LED light will start flashing, alerting the user that the battery needs to be replaced. We are the first company on the market to implement low-battery technology into a tDCS device. With this new functionality, you can be sure that your tDCS device is always performing at the highest standards possible. On top of the added LED, we completely replaced the detachable electrode cable which comes with the device. The new electrode cable utilizes a much smaller, 2.5mm jack as opposed to the 3.5mm jack used on the original Travel Model. Additionally, the new white cable fuses the Anode and Cathode wires together, similar to the wires used with headphones. The fused cables have the ability to be pulled apart (so they’re two separate wires) so that you can alter the cables to reach those hard to reach montages. All of our tDCS devices come with a 30-Day Money-Back Guarantee. If you’re not satisfied with your purchase, or just decide that tDCS isn’t for you, contact our customer support team and we’ll take care of it. 3 feet (1 meter) – Detachable, right-angled connector, with fused wires. I’ve never used tDCS before, what types of feelings/sensations should I expect? The feelings experienced during a typical tDCS session can vary from individual to individual, and can be based on several factors such as as the montage (electrode placement) being used, level of current, and length of the session. The most common sensation associated with tDCS is a slight tingling, itching, or “warming” sensation felt at the source of the electrodes. This sensation can often be suppressed by applying additional saline solution, or by applying slight pressure to the sponge electrodes to help saturate the area. Adding additional saline solution usually requires stopping the session and removing the electrodes, however saline can be applied easily and comfortably during a tDCS session by using a saline solution applicator bottle. In addition the the above, some individuals claim to experience a metallic taste in their mouth, but usually report it to be temporary and only during the start of the session. Sometimes it is possible to experience the appearance of a very flash of white light, however this is very rare and only possible if the device being used does not feature “ramping,” and the electrodes are positioned near the optical nerve (near the eyes). Almost all of the tDCS devices being produced by reputable companies feature this technology. 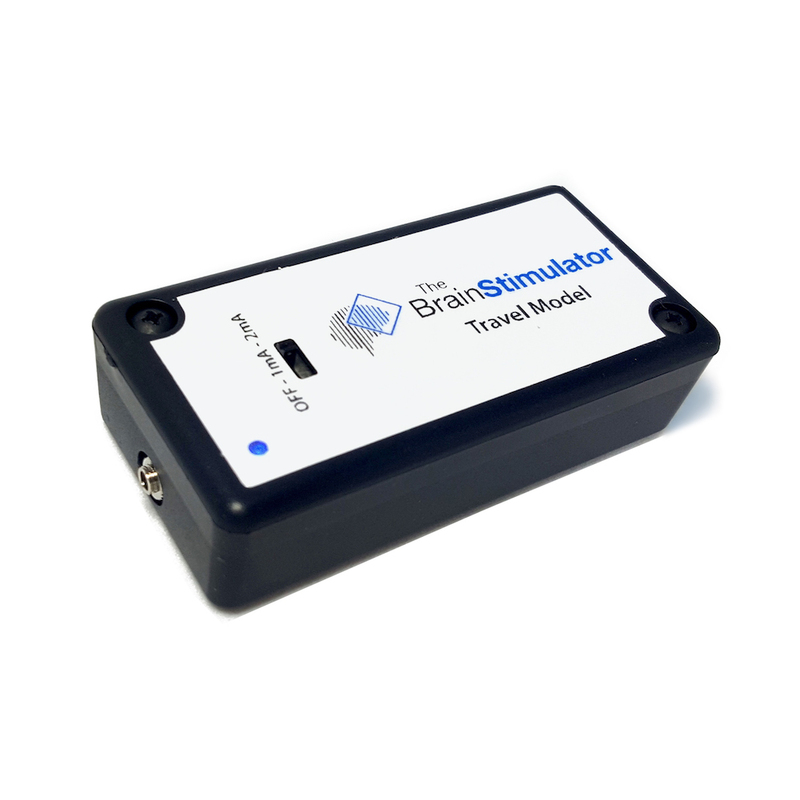 The Brain Stimulator v3.0 features internal current stepping, which another form of ramping technology which results in an incredibly comfortable tDCS session. Overall, most people describe tDCS as being a relatively positive experience, and some report not feeling anything at all! For some related information, check out: Are there any side effects associated with tDCS? Are there any side effects associated with tDCS? Reported tDCS side effects are very few, and only experienced by a small number of the population. Some side effects associated with tDCS include a tingling or itching sensation during stimulation, a slightly metallic taste, and occasional redness at the site of the electrodes. Any redness usually fades away shortly after stimulation. An even smaller percentage of the population reports a slight headache as a tDCS side effect, however this also usually subsides shortly after the session is concluded. The most least reported tDCS side effect, which is usually attributed to improper use of electrodes or poorly assembled/prepared electrodes, is skin irritation. Sometimes this irritation can take the form of a small skin bump or lesion. However, it is important to note that even this side-effect is quite minor, and will fade away over a short period of time. 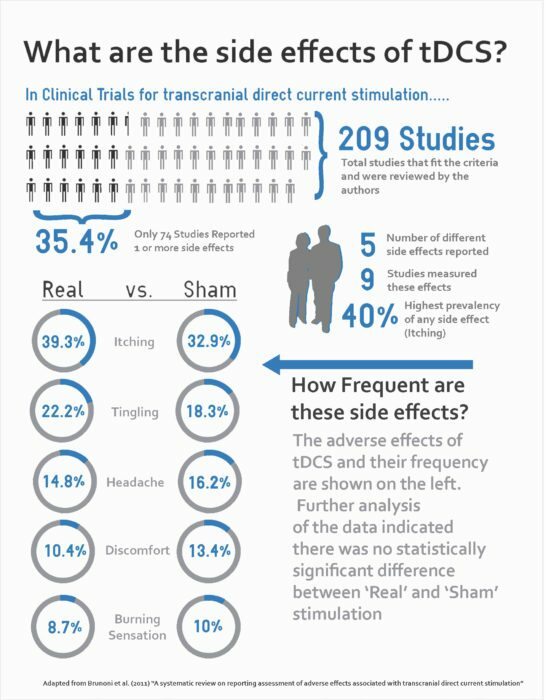 We found a great infographic on tDCS side effects located at tdcsbrainstorm.com, which shows that often most side effects can be attributed to the placebo effect. The results shown below depict that based on clinical trials, those individuals receiving “sham” stimulation (fake, no current) often reported the same symptoms at similar severity levels compared with those individuals receiving active stimulation (real tDCS). What is the difference between the Fisher Wallace Stimulator and the products you offer? Fisher Wallace produces products that are quite different from The Brain Stimulator family of tDCS devices. 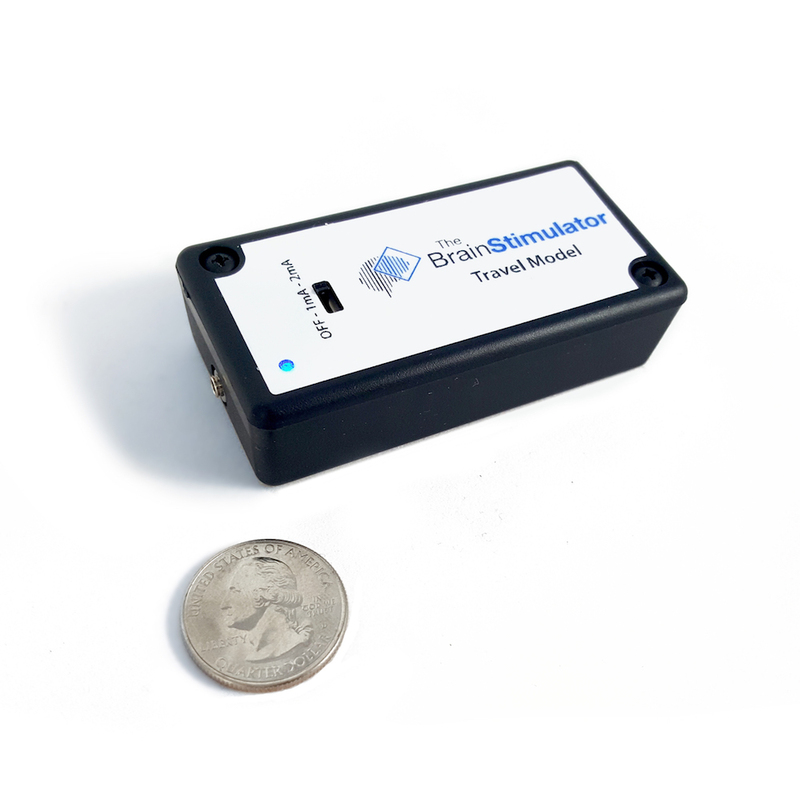 While The Brain Stimulator utilizes tDCS (Transcranial Direct Current Stimulation), the Fisher Wallace Stimulator utilizes tACS (Transcranial Alternating Current Stimulation). Studies have shown that tDCS and tACS are both generally considered safe and effective methods of non-invasive brain stimulation1. However, at least one study found that tACS did not appear to create significant changes in cortical excitability2, whereas numerous studies have documented tDCS’s ability to modulate cortical excitability both during and after stimulation 3, 4. In addition, tDCS has the ability to either increase (via Anodal stimulation) or decrease (via Cathodal stimulation) the spontaneous firing rate of neurons in the brain5, 6. This duality of effects can be seen in various scientific studies where researchers may focus on increasing desired results (such as improving cognition7), while through alternative tDCS montages, decrease others (such as chronic pain8). While many people believe the Fisher Wallace Stimulator is FDA approved, this is not the case. Rather, The Fisher Wallace Stimulator is only FDA cleared. While much progress has been made over the years to gain FDA approval, in the field of brain stimulation there are currently no tES (Transcranial Electrical Stimulation) devices which have been granted approval. This does not mean brain stimulation devices are deemed unsafe by the organization, but rather that it has not yet been determined to what classification, standards, or methods of approval, this new industry should conform to. Interested in learning more? 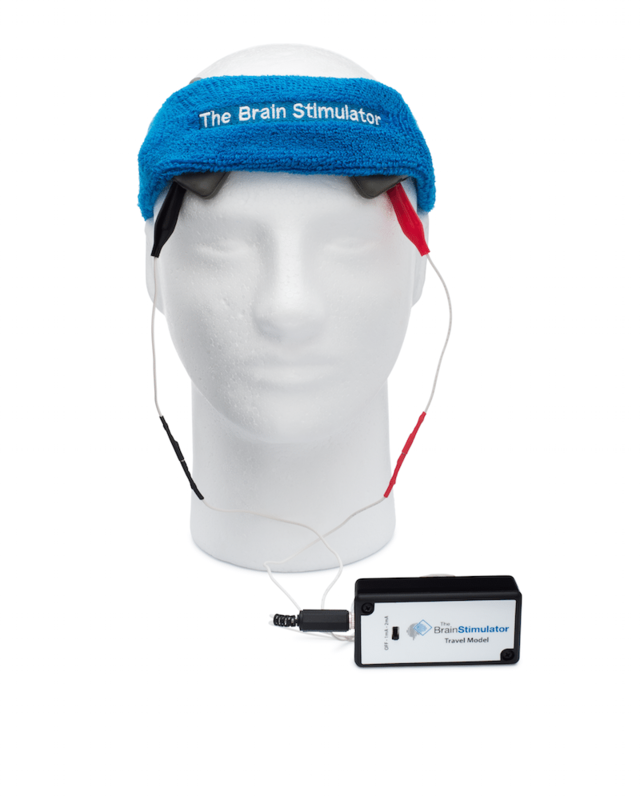 Check out “What is tDCS?” or read more about The Brain Stimulator v3.0. We currently accept Credit Card and PayPal payment methods. All payment information is fully encrypted and handled by third party payment processing companies (Stripe or PayPal). By using third party payment processors, we ensure your data is kept protected and secret, as we never see or save any of your sensitive payment information. To pay via credit card, simply fill out your billing, shipping, and credit card information on our Checkout page, or select the “Checkout with PayPal” option located just below the Stripe form and click “Proceed to PayPal”. If you wish to skip our billing & address forms and checkout faster, then we suggest using PayPal Checkout. You do not need a PayPal Account to checkout via PayPal, nor will you be required to create one if you choose this checkout method. If you do not have a PayPal account, there is a link at the bottom of the PayPal checkout webpage which instructs you on how to complete the transaction. You can find the PayPal checkout option on our Cart page, at the top and the bottom of our Checkout page, as well as on some product pages (example: The Brain Stimulator tDCS Kits). Once you click a PayPal checkout button, a PayPal pop up window will appear which will guide you through the short and simple payment process. When finished, you will be redirected back to our website to confirm your order details and complete the transaction. If you have any further questions regarding payment or if you encounter any errors, please contact us directly. Where do you manufacture and ship from? We manufacture all our tDCS devices in sunny Southern California. Additionally, the majority of the resale products we carry, such as Amrex Sponge Electrodes, are manufactured in California as well! In regards to our products; if it’s not made in California, it’s made somewhere else in the United States. If it’s not made in the United States, WE DON’T CARRY IT. By working with domestic companies we are able to build close working relationships with our vendors, and provides many benefits such as faster shipping and restocking times, as well as the ability to closely manage our quality control processes, which results in higher-quality products with unmatched performance. Doing business with local vendors has been an integral part of our value proposition from day one, and helps differentiate us from our competitors. Our ability to walk through the door of any number of our local vendors, shake their hand and sit down across the table from them, is something we’ve found absolutely invaluable. By choosing to purchase from and work with domestic companies, we’re doing are part to help create jobs right here in United States.